The landmark health care reform bill signed into law last week will have an impact on nearly every American. Many of the bill’s major provisions won’t take effect until 2014, but there are a number of items that will be put into place right away. Here’s a look at seven aspects of the health reform bill that we can expect to see go into effect within the next three to six months. #1 People with pre-existing medical conditions will have access to insurance. Within the first 90 days of the health bill’s signing — sometime around June of this year — the government will establish a new national high-risk insurance pool, which will give people with pre-existing health conditions who have otherwise been unable to get coverage in the individual market the option of purchasing insurance. The federal government intends for this high-risk pool to be a temporary, short-term fix that will phase-out in 2014 as state health insurance exchanges are developed. These exchanges will essentially provide a new marketplace where people who do not have employer-sponsored insurance can buy a policy. Theoretically, healthcare prices will be kept in check because you will now be able to pool your coverage with millions of other people, instead of buying insurance on your own, which leaves you with no purchasing power whatsoever. 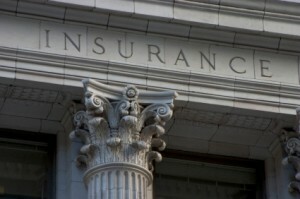 The pool represents a large piece of business for which insurers will want to compete. Health care subsidies will be available to people with an income four times the federal poverty level or less. That’s about $44,000 a year for an individual and $88,000 for a family of four. Like existing state risk pools, the insurance offered here could be quite expensive. While this isn’t a quick magic antidote to high health care prices, if you’re sick and have no other alternatives for insurance, this high-risk pool may prove to be a lifeline. #2 Lifetime and annual limits on coverage will be eliminated. Within the first six months after the health care bill takes effect, anyone with an existing insurance plan can rest easy that his/her insurance company can no longer set lifetime or annual limits. #3 Insurers can’t pull coverage out from under you. People who purchase insurance on their own today often live in fear that one diagnosis will land them on their insurer’s hit list, leaving them without coverage when they need it most. Within six months of the health care bill’s activation, insurance companies will be prohibited from dropping subscribers from their plan if they get sick. The only exceptions include cases where there is fraud or intentional misrepresentation on the part of the consumer. #4 Children can’t be excluded for pre-existing conditions. Within the next six months, a parent who purchases insurance in the individual insurance market (as opposed to getting insurance through work) will be guaranteed that any child in the family with a pre-existing medical condition cannot be denied insurance coverage. #5 Small businesses may be eligible for tax credits. For years, rising health care costs have made it increasingly difficult for small businesses to provide health insurance coverage for employees. Although the new law does not require employers with fewer than 25 employees to extend health benefits, they will be eligible for tax incentives if they do. For businesses willing to pay half of their employees’ premiums, a 35 percent tax credit will be available. #6 Medicare’s expensive “donut hole” will be plugged. Seniors who rely on Medicare Part D to help pay for prescription medications are familiar with a $1,720 gap in coverage, also known as the “donut hole.” Once Medicare has paid $2,830 worth of medication, seniors must pay out-of-pocket expenses until they reach $6,440, at which time Medicare once again pays the bills. Starting this year, seniors will receive a rebate of $250 to help pay for their medications. And, in 2011, there will be a 50 percent discount on brand-name drugs. #7 Twenty-somethings can stay on their parents’ insurance plans a little longer. Young adults in their twenties are the group most likely to be uninsured. Many get kicked off their parents’ plan by 18 or 19 years of age (depending on your state) or around age 23 for students enrolled full-time in college. Starting in six months, children will be able to remain on their parents’ insurance plan until the age of 26.